As promised, the Second Edition of my science-fiction mystery novel Eden against the Colossus is now available in additional formats. MOBI and EPUB formats for e-readers can now be downloaded for free. As previously, you can also download a free PDF copy of this book. My sincere thanks go to Wendy Stolyarov for her work in making this release possible. Let us ignore the problems with the concept of the price level and all the technical problems with CPI. Let us further ignore the fact that this has little to do with the Austrian business cycle theory (ABCT), as the critics would like to suggest. The basic notion that more money, i.e., inflation, causes higher prices, i.e., price inflation, is not a uniquely Austrian view. It is a very old and commonly held view by professional economists and is presented in nearly every textbook that I have examined. This common view is often labeled the quantity theory of money. Only economists with a Mercantilist or Keynesian ideology even challenge this view. However, only Austrians can explain the current dilemma: why hasn’t the massive money printing by the central banks of the world resulted in higher prices. Austrian economists like Ludwig von Mises, Benjamin Anderson, and F.A. Hayek saw that commodity prices were stable in the 1920s, but that other prices in the structure of production indicated problems related to the monetary policy of the Federal Reserve. Mises, in particular, warned that Fisher’s “stable dollar” policy, employed at the Fed, was going to result in severe ramifications. Absent the Fed’s easy money policies of the Roaring Twenties, prices would have fallen throughout that decade. So let’s look at the prices that most economists ignore and see what we find. There are some obvious prices to look at like oil. Mainstream economists really do not like looking at oil prices, they want them taken out of CPI along with food prices, Ben Bernanke says that oil prices have nothing to do with monetary policy and that oil prices are governed by other factors. As an Austrian economist, I would speculate that in a free market economy, with no central bank, that the price of oil would be stable. I would further speculate, that in the actual economy with a central bank, that the price of oil would be unstable, and that oil prices would reflect monetary policy in a manner informed by ABCT. That is, artificially low interest rates generated by the Fed would encourage entrepreneurs to start new investment projects. This in turn would stimulate the demand for oil (where supply is relatively inelastic) leading to higher oil prices. As these entrepreneurs would have to pay higher prices for oil, gasoline, and energy (and many other inputs) and as their customers cut back on demand for the entrepreneurs’ goods (in order to pay higher gasoline prices), some of their new investment projects turn from profitable to unprofitable. Therefore, you should see oil prices rise in a boom and fall during the bust. That is pretty much how things work as shown below. As you can see, the price of oil was very stable when we were on the pseudo Gold Standard. The data also shows dramatic instability during the fiat paper dollar standard (post-1971). Furthermore, in general, the price of oil moves roughly as Austrians would suggest, although monetary policy is not the sole determinant of oil prices, and obviously there is no stable numerical relationship between the two variables. Another commodity that is noteworthy for its high price is gold. The price of gold also rises in the boom, and falls during the bust. However, since the last recession officially ended in 2009, the price of gold has actually doubled. The Fed’s zero interest rate policy has made the opportunity cost of gold extraordinarily low. The Fed’s massive monetary pumping has created an enormous upside in the price of gold. No surprise here. Actually, commodity prices increased across the board. The Producer Price Index for commodities shows a similar pattern to oil and gold. The PPI-Commodities was more stable during the pseudo Gold Standard with more volatility during the post-1971 fiat paper standard. The index tends to spike before a recession and then recede during and after the recession. However, the PPI-Commodity Index has returned to all-time record levels. High prices seem to be the norm. The US stock and bond markets are at, or near, all-time highs. Agricultural land in the US is at all time highs. The Contemporary Art market in New York is booming with record sales and high prices. The real estate markets in Manhattan and Washington, DC, are both at all-time highs as the Austrians would predict. That is, after all, where the money is being created, and the place where much of it is injected into the economy. This doesn’t even consider what prices would be like if the Fed and world central banks had not acted as they did. Housing prices would be lower, commodity prices would be lower, CPI and PPI would be running negative. Low-income families would have seen a surge in their standard of living. Savers would get a decent return on their savings. Of course, the stock market and the bond market would also see significantly lower prices. Bank stocks would collapse and the bad banks would close. Finance, hedge funds, and investment banks would have collapsed. Manhattan real estate would be in the tank. The market for fund managers, hedge fund operators, and bankers would evaporate. In other words, what the Fed chose to do ended up making the rich, richer and the poor, poorer. If they had not embarked on the most extreme and unorthodox monetary policy in memory, the poor would have experienced a relative rise in their standard of living and the rich would have experienced a collective decrease in their standard of living. There are other major reasons why consumer prices have not risen in tandem with the money supply in the dramatic fashion of oil, gold, stocks and bonds. It would seem that the inflationary and Keynesian policies followed by the US, Europe, China, and Japan have resulted in an economic and financial environment where bankers are afraid to lend, entrepreneurs are afraid to invest, and where everyone is afraid of the currencies with which they are forced to endure. In other words, the reason why price inflation predictions failed to materialize is that Keynesian policy prescriptions like bailouts, stimulus packages, and massive monetary inflation have failed to work and have indeed helped wreck the economy. Mark Thornton is a senior resident fellow at the Ludwig von Mises Institute in Auburn, Alabama, and is the book-review editor for the Quarterly Journal of Austrian Economics. He is the author of The Economics of Prohibition, coauthor of Tariffs, Blockades, and Inflation: The Economics of the Civil War, and the editor of The Quotable Mises, The Bastiat Collection, and An Essay on Economic Theory. Send him mail. See Mark Thornton’s article archives. Copyright © 2013 by the Ludwig von Mises Institute. Permission to reprint in whole or in part is hereby granted, provided full credit is given. 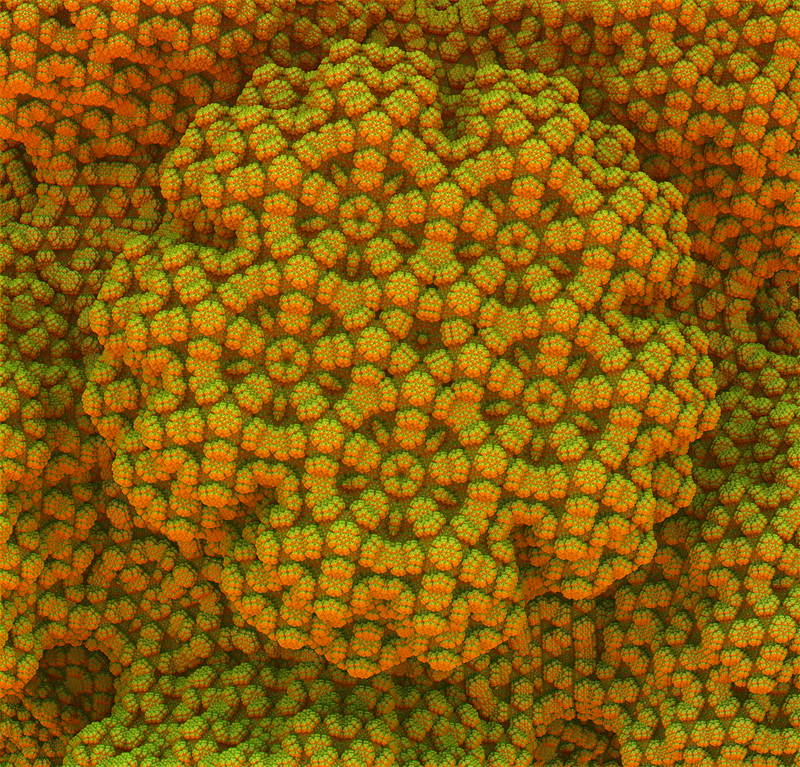 This fractal consists of polyhedra upon polyhedra upon polyhedra. It results from a combination of octahedral, dodecahedral, and icosahedral algorithms, creating a surface so multifaceted that it almost seems organic – like a finely sculpted topiary. This digital artwork was created by Mr. Stolyarov in Mandelbulb3D, a free program that facilitates deliberate manipulation of formula-generated fractals into intelligible shapes. After the publication of my review of Nassim Taleb’s latest book Antifragile, numerous comments were made by Taleb’s followers – many of them derisive – on Taleb’s Facebook page. (You can see a screenshot of these comments here.) While I will only delve into a few of the specific comments in this article, I consider it important to distill the common misconceptions that motivate them. Transhumanism is often misunderstood and maligned by who are ignorant of it – or those who were exposed solely to detractors such as John Gray, Leon Kass, and Taleb himself. This essay will serve to correct these misconceptions in a concise fashion. Those who still wish to criticize transhumanism should at least understand what they are criticizing and present arguments against the real ideas, rather than straw men constructed by the opponents of radical technological progress. Misconception #1: Transhumanism is a religion. Transhumanism does not posit the existence of any deity or other supernatural entity (though some transhumanists are religious independently of their transhumanism), nor does transhumanism hold a faith (belief without evidence) in any phenomenon, event, or outcome. Transhumanists certainly hope that technology will advance to radically improve human opportunities, abilities, and longevity – but this is a hope founded in the historical evidence of technological progress to date, and the logical extrapolation of such progress. Moreover, this is a contingent hope. Insofar as the future is unknowable, the exact trajectory of progress is difficult to predict, to say the least. Furthermore, the speed of progress depends on the skill, devotion, and liberty of the people involved in bringing it about. Some societal and political climates are more conducive to progress than others. Transhumanism does not rely on prophecy or mystical fiat. It merely posits a feasible and desirable future of radical technological progress and exhorts us to help achieve it. Some may claim that transhumanism is a religion that worships man – but that would distort the term “religion” so far from its original meaning as to render it vacuous and merely a pejorative used to label whatever system of thinking one dislikes. Besides, those who make that allegation would probably perceive a mere semantic quibble between seeking man’s advancement and worshipping him. But, irrespective of semantics, the facts do not support the view that transhumanism is a religion. After all, transhumanists do not spend their Sunday mornings singing songs and chanting praises to the Glory of Man. Misconception #2: Transhumanism is a cult. A cult, unlike a broader philosophy or religion, is characterized by extreme insularity and dependence on a closely controlling hierarchy of leaders. Transhumanism has neither element. Transhumanists are not urged to disassociate themselves from the wider world; indeed, they are frequently involved in advanced research, cutting-edge invention, and prominent activism. Furthermore, transhumanism does not have a hierarchy or leaders who demand obedience. Cosmopolitanism is a common trait among transhumanists. Respected thinkers, such as Ray Kurzweil, Max More, and Aubrey de Grey, are open to discussion and debate and have had interesting differences in their own views of the future. A still highly relevant conversation from 2002, “Max More and Ray Kurzweil on the Singularity“, highlights the sophisticated and tolerant way in which respected transhumanists compare and contrast their individual outlooks and attempt to make progress in their understanding. Any transhumanist is free to criticize any other transhumanist and to adopt some of another transhumanist’s ideas while rejecting others. Because transhumanism characterizes a loose network of thinkers and ideas, there is plenty of room for heterogeneity and intellectual evolution. As Max More put it in the “Principles of Extropy, v. 3.11”, “the world does not need another totalistic dogma.” Transhumanism does not supplant all other aspects of an individual’s life and can coexist with numerous other interests, persuasions, personal relationships, and occupations. Misconception #3: Transhumanists want to destroy humanity. Why else would they use terms such as “posthuman” and “postbiological”? Transhumanists do not wish to destroy any human. In fact, we want to prolong the lives of as many people as possible, for as long as possible! The terms “transhuman” and “posthuman” refer to overcoming the historical limitations and failure modes of human beings – the precise vulnerabilities that have rendered life, in Thomas Hobbes’s words, “nasty, brutish, and short” for most of our species’ past. A species that transcends biology will continue to have biological elements. Indeed, my personal preference in such a future would be to retain all of my existing healthy biological capacities, but also to supplement them with other biological and non-biological enhancements that would greatly extend the length and quality of my life. No transhumanist wants human beings to die out and be replaced by intelligent machines, and every transhumanist wants today’s humans to survive to benefit from future technologies. Transhumanists who advocate the development of powerful artificial intelligence (AI) support either (i) integration of human beings with AI components or (ii) the harmonious coexistence of enhanced humans and autonomous AI entities. Even those transhumanists who advocate “mind backups” or “mind uploading” in an electronic medium (I am not one of them, as I explain here) do not wish for their biological existences to be intentionally destroyed. They conceive of mind uploads as contingency plans in case their biological bodies perish. Even the “artilect war” anticipated by more pessimistic transhumanists such as Hugo de Garis is greatly misunderstood. Such a war, if it arises, would not come from advanced technology, but rather from reactionaries attempting to forcibly suppress technological advances and persecute their advocates. Most transhumanists do not consider this scenario to be likely in any event. More probable are lower-level protracted cultural disputes and clashes over particular technological developments. The above was an actual comment on the Taleb Facebook thread. It is astonishing that anyone would consider theocratic oppression preferable to radical life extension, universal abundance, ever-expanding knowledge of macroscopic and microscopic realms, exploration of the universe, and the liberation of individuals from historical chains of oppression and parasitism. This misconception is fueled by the strange notion that transhumanists (or technological progress in general) will destroy us all – as exemplified by the “Terminator” scenario of hostile AI or the “gray goo” scenario of nanotechnology run amok. Yet all of the apocalyptic scenarios involving future technology lack the safeguards that elementary common sense would introduce. Furthermore, they lack the recognition that incentives generated by market forces, as well as the sheer numerical and intellectual superiority of the careful scientists over the rogues, would always tip the scales greatly in favor of the defenses against existential risk. As I explain in “Technology as the Solution to Existential Risk” and “Non-Apocalypse, Existential Risk, and Why Humanity Will Prevail”, the greatest existential risks have either always been with us (e.g., the risk of an asteroid impact with Earth) or are in humanity’s past (e.g., the risk of a nuclear holocaust annihilating civilization). Technology is the solution to such existential risks. Indeed, the greatest existential risk is fear of technology, which can retard or outright thwart the solutions to the perils that may, in the status quo, doom us as a species. As an example, Mark Waser has written an excellent commentary on the “inconvenient fact that not developing AI (in a timely fashion) to help mitigate other existential risks is itself likely to lead to a substantially increased existential risk”. Misconception #5: Transhumanists want to turn people into the Borg from Star Trek. The Borg are the epitome of a collectivistic society, where each individual is a cog in the giant species machine. Most transhumanists are ethical individualists, and even those who have communitarian leanings still greatly respect individual differences and promote individual flourishing and opportunity. Whatever their positions on the proper role of government in society might be, all transhumanists agree that individuals should not be destroyed or absorbed into a collective where they lose their personality and unique intellectual attributes. Even those transhumanists who wish for direct sharing of perceptions and information among individual minds do not advocate the elimination of individuality. Rather, their view might better be thought of as multiple puzzle pieces being joined but remaining capable of full separation and autonomous, unimpaired function. My own attraction to transhumanism is precisely due to its possibilities for preserving individuals qua individuals and avoiding the loss of the precious internal universe of each person. As I expressed in Part 1 of my “Eliminating Death” video series, death is a horrendous waste of irreplaceable human talents, ideas, memories, skills, and direct experiences of the world. Just as transhumanists would recoil at the absorption of humankind into the Borg, so they rightly denounce the dissolution of individuality that presently occurs with the oblivion known as death. Misconception #6: Transhumanists usually portray themselves “like robotic, anime-like characters”. That depends on the transhumanist in question. Personally, I portray myself as me, wearing a suit and tie (which Taleb and his followers dislike just as much – but that is their loss). Furthermore, I see nothing robotic or anime-like about the public personas of Ray Kurzweil, Aubrey de Grey, or Max More, either. This is another statement on the Taleb Facebook thread. Ironically, the commenter is asserting that the transhumanists, who support the indefinite lengthening of human life, have a “death wish” and are “morally retarded”, while he – who opposes the technological progress needed to preserve us from the abyss of oblivion – apparently considers himself a champion of morality and a supporter of life. If ever there was an inversion of characterizations, this is it. At least the commenter acknowledges the strong technical skills of many transhumanists – but calling them “morally retarded” presupposes a counter-morality of death that should rightly be overcome and challenged, lest it sentence each of us to death. The Orwellian mindset that “evil is good” and “death is life” should be called out for the destructive and dangerous morass of contradictions that it is. Moreover, the commenter provides no evidence that any transhumanist wants to develop “humanity-obliterating technologies” or that the obliteration of humanity is even a remote risk from the technologies that transhumanists do advocate. Misconception #8: Transhumanism is wrong because life would have no meaning without death. Asserting that only death can give life meaning is another bizarre contradiction, and, moreover, a claim that life can have no intrinsic value or meaning qua life. It is sad indeed to think that some people do not see how they could enjoy life, pursue goals, and accumulate values in the absence of the imminent threat of their own oblivion. Clearly, this is a sign of a lack of creativity and appreciation for the wonderful fact that we are alive. I delve into this matter extensively in my “Eliminating Death” video series. Part 3 discusses how indefinite life extension leaves no room for boredom because the possibilities for action and entertainment increase in an accelerating manner. Parts 8 and 9 refute the premise that death gives motivation and a “sense of urgency” and make the opposite case – that indefinite longevity spurs people to action by making it possible to attain vast benefits over longer timeframes. Indefinite life extension would enable people to consider the longer-term consequences of their actions. On the other hand, in the status quo, death serves as the great de-motivator of meaningful human endeavors. Misconception #9: Removing death is like removing volatility, which “fragilizes the system”. This sentiment was an extrapolation by a commenter on Taleb’s ideas in Antifragile. It is subject to fundamentally collectivistic premises – that the “volatility” of individual death can be justified if it somehow supports a “greater whole”. (Who is advocating the sacrifice of the individual to the collective now?) The fallacy here is to presuppose that the “greater whole” has value in and of itself, apart from the individuals comprising it. An individualist view of ethics and of society holds the opposite – that societies are formed for the mutual benefit of participating individuals, and the moment a society turns away from that purpose and starts to damage its participants instead of benefiting them, it ceases to be desirable. Furthermore, Taleb’s premise that suppression of volatility is a cause of fragility is itself dubious in many instances. It may work to a point with an individual organism whose immune system and muscles use volatility to build adaptive responses to external threats. However, the possibility of such an adaptive response requires very specific structures that do not exist in all systems. In the case of human death, there is no way in which the destruction of a non-violent and fundamentally decent individual can provide external benefits of any kind worth having. How would the death of your grandparents fortify the mythic “society” against anything? Misconception #10: Immortality is “a bit like staying awake 24/7”. Presumably, those who make this comparison think that indefinite life would be too monotonous for their tastes. But, in fact, humans who live indefinitely can still choose to sleep (or take vacations) if they wish. Death, on the other hand, is irreversible. Once you die, you are dead 24/7 – and you are not even given the opportunity to change your mind. Besides, why would it be tedious or monotonous to live a life full of possibilities, where an individual can have complete discretion over his pursuits and can discover as much about existence as his unlimited lifespan allows? To claim that living indefinitely would be monotonous is to misunderstand life itself, with all of its variety and heterogeneity. Misconception #11: Transhumanism is unacceptable because of the drain on natural resources that comes from living longer. This argument presupposes that resources are finite and incapable of being augmented by human technology and creativity. In fact, one era’s waste is another era’s treasure (as occurred with oil since the mid-19th century). As Julian Simon recognized, the ultimate resource is the human mind and its ability to discover new ways to harness natural laws to human benefit. We have more resources known and accessible to us now – both in terms of food and the inanimate bounties of the Earth – than ever before in recorded history. This has occurred in spite – and perhaps because of – dramatic population growth, which has also introduced many new brilliant minds into the human species. In Part 4 of my “Eliminating Death” video series, I explain that doomsday fears of overpopulation do not hold, either historically or prospectively. Indeed, the progress of technology is precisely what helps us overcome strains on natural resources. The opposition to transhumanism is generally limited to espousing some variations of the common fallacies I identified above (with perhaps a few others thrown in). To make real intellectual progress, it is necessary to move beyond these fallacies, which serve as mental roadblocks to further exploration of the subject – a justification for people to consider transhumanism too weird, too unrealistic, or too repugnant to even take seriously. Detractors of transhumanism appear to recycle these same hackneyed remarks as a way to avoid seriously delving into the actual and genuinely interesting philosophical questions raised by emerging technological innovations. These are questions on which many transhumanists themselves hold sincere differences of understanding and opinion. Fundamentally, though, my aim here is not to “convert” the detractors – many of whose opposition is beyond the reach of reason, for it is not motivated by reason. Rather, it is to speak to laypeople who are not yet swayed one way or the other, but who might not have otherwise learned of transhumanism except through the filter of those who distort and grossly misunderstand it. Even an elementary explication of what transhumanism actually stands for will reveal that we do, in fact, strongly advocate individual human life and flourishing, as well as technological progress that will uplift every person’s quality of life and range of opportunities. Those who disagree with any transhumanist about specific means for achieving these goals are welcome to engage in a conversation or debate about the merits of any given pathway. But an indispensable starting point for such interaction involves accepting that transhumanists are serious thinkers, friends of human life, and sincere advocates of improving the human condition. This speech was delivered at the Second Annual International Day of Protest Against Hereditary Religion on January 20, 2013. You can see recordings of the speech and subsequent question-and-answer session here. Greetings, ladies and gentlemen, and thank you for attending my speech. It is an honor to present at the Second Annual International Day of Protest Against Hereditary Religion. I will focus on the issue of hereditary religion from a perspective that, in my view, receives all too little attention. Unlike most individuals – and even unlike many atheists – I was not a victim of hereditary religion. I was raised in a non-religious household and have never been religious and was never seriously attracted to religion. I would like to provide my firsthand account of how the absence of religious indoctrination during my childhood enabled me to thrive as a thinker and maintain a high quality of life in adulthood. Through my presentation, I hope to provide a glimpse into the advantages that all children can and should have. I was born during the very late years of the Soviet Union, when Gorbachev’s perestroika was already well underway. While the Soviet regime was always atheistic in name, religious freedom was openly tolerated by that time. By the time I was four, Belarus had declared independence from the USSR, and the post-Soviet government no longer had a view of religion one way or the other. Most people who pretended to be nonreligious during earlier eras of the Soviet regime no longer needed to do so, and so there was a widespread apparent revival of Orthodox Christianity during my early years. My family, however, was among those who were truly non-religious, so they never needed to pretend. I was raised largely free from structured ideology, either religious or communist. There was no real emphasis on atheism placed during my childhood, either. I was not taught that religion or religious people were bad, though I was taught about the history of religious atrocities – such as the Crusades, the Inquisition, and the Wars of Religion during the sixteenth and seventeenth centuries. Much of what I learned on this subject was through my own reading of history books, of which there were plenty around the house, and to which I had unrestricted access. My family had no wish to be confrontational, so I was generally asked not to engage in any religion-oriented conversations in public. However, I do remember a situation where I and my grandfather – after whom I am named – were walking on the streets of Minsk and were hailed by Christians selling bibles and religious pamphlets. My grandfather replied firmly that he was an atheist and was not interested, though he did engage them in argument. It was around that time that he had read the Bible from cover to cover on his own, which seemed to reinforce his own atheism, as it does for many who actually delve into that text. ● Prior to the scientific age, humans believed that gods inhabited high regions – mountains and the sky. However, humans climbed Mount Olympus and did not find the ancient Greek gods. Humans went into space and did not find heaven or any gods. Moreover, humans have discovered that the sky is not a solid platform or a place that can be inhabited generally; instead, it is a visual effect created by the fact that the Earth has an atmosphere. (I had memorized all the layers of the atmosphere, too.) Thus, it is impossible for gods to live there. Beyond the atmosphere is outer space, where no gods have been observed, either. ● When I was asked by believers “If there is no God, then who created you?”, I would respond that my parents did. If the question was formulated somewhat differently – as in “What makes your existence possible?” – I would give an answer in terms of material causation – i.e., that I am made of cells, and cells are made of molecules, and molecules are made of atoms, and atoms are made of protons, neutrons, and electrons. Generally, the conversation would proceed until I reached the smallest subatomic particle I could name, which was the quark, and which the believers asserted that God had to create. I generally answered that, while I do not know about the components of a quark, someday science would find out. I was fascinated with numbers from a very early age. I had learned to count at age two, before I learned to read, and by age four I was already delving into very large and very small numbers – to the hundreds of powers of ten, both positive and negative. I grasped that there was no limit in either direction to how large or small these numbers could get, and so I thought that there was also no upper or lower limit to humans’ eventual ability to understand existence at any magnification. While my reasoning about religion at ages four and five may seem somewhat simplistic now – and the more sophisticated theists could find responses to my reasons for not believing in the existence of God back then – a habit of free thought was nonetheless established very early on in my life. It was never broken. I never hesitated to form my own opinions and to express them, sometimes in ways that got me in trouble with the various powers that be. I am, however, a better person because of this – because I acknowledge the power of evidence, reason, and my own mind in attempting to discover truth. While I may be wrong about particular ideas (and have been wrong in the past), the overall open-ended dynamic of my thinking enables me to overcome any specific errors and to improve my understanding. I have never been subjected to successful indoctrination into a static, dogmatic worldview whose adherents fear questioning and challenge. The old Soviet system and its communist propaganda machine had already disintegrated by the time of my childhood, while the Orthodox religion – which now has a close affiliation with Alexander Lukashenko’s dictatorial regime in Belarus – was not yet strong enough to try to impose itself. I moved to the United States in time to avoid the worst of Lukashenko’s tyranny. Had I spent my teenage years in Belarus, I would likely have been imprisoned for political dissent. I was fortunate enough to have grown up during perhaps the freest era in the entire history of the former USSR. When I moved to the US, I certainly had more intellectual freedom than I would have had in Belarus had I remained. But I also came to a society where atheism was a lot less common and a lot less understood. I have always tried to maintain a great deal of respect for post-Enlightenment interpretations of religion. Spending my teenage years in the suburbs of Chicago, I thought, initially, that this was pretty much how the majority of Americans viewed their faiths. I attended friends’ Bar Mitzvah ceremonies and engaged in interesting discussions with moderate Christians and Muslims. In that area, even those who called themselves conservatives generally considered religion to be a private matter and focused more on this-worldly political and economic subjects – for which I could respect them and have civil discussions with them. Ironically, it was the politically correct segment of the American Left (which, I understand, is not the entirety of the Left) that tried to crack down on my expression during that time, because I criticized premodern or “traditional” religious paradigms – including Aztec human sacrifice, the Hindu caste system, and traditional Chinese practices, such as foot binding, which were bound with religious views of women’s submissiveness and dependency. To the politically correct Left, all cultures and religions were equal as a matter of dogma – except, of course, for post-Enlightenment Western individualism and rationalism. I realized that atheists and freethinkers generally have as much to fear from this sort of indoctrination as they do from religious fundamentalism of any particular stripe. It does not matter, for instance, whether a blasphemy law or censorship of speech in the schools are based on the dominance of one particular religious sect, or on the fear of offending any religious sensibilities. Either way, the crucial human faculty of reason is muffled, and the capacity for intelligent critical thinking is stunted. Only the freedom of the mind can lead to the discovery of truth and the improvement of the human condition. Only when I went to college in Hillsdale, Michigan, did I discover that true premodern fundamentalist Christianity was far more prevalent than I had thought. The student body and professors at Hillsdale are split roughly along traditional conservative and libertarian lines. The libertarians – even those who are personally religious – tend to be tolerant and to incorporate Enlightenment ideas of individual rights and free expression into their religious views. Many of the traditional conservatives, however, thought that religion was the only legitimate foundation for morality. Those of them who were raised entirely in religious settings – with no allowance for interaction with other worldviews and perspectives – were bewildered at how I, as an atheist, could do anything worthwhile at all. One of them – indeed, one of the better-behaved ones – was listening to me play the piano in one of the practice rooms in the music building. He then came in and asked, with sincerity, “That was beautiful, but I want to know… why? If you do not believe in God, what is the point in doing anything beautiful at all?” Another fundamentalist Christian, with whom I had quite a few discussions, suggested to me at one point that he and I could have nothing in common because I did not believe in God and his entire life was based on that belief. In return, I asked him whether he thought that two plus two made four. When he agreed that this was the case, I pointed out that I thought the same, and that this was indeed common ground. I tried my best to find as much of this sort of common ground as I could, and I made it a personal project of mine to give numerous presentations on campus about the possibility (and, indeed, the superiority) of non-religious objective morality. My many essays on the subject from that time period are freely available for all to read online. But it always baffled me how little I was able successfully get across to the fundamentalist Christians at Hillsdale that their way was not the only way. I never tried to de-convert them; rather, my objective was always simply to cultivate mutual respect and to lead them to recognize that, yes, atheists can be just as moral as some of them – while religion is no guarantee of moral conduct and can often be used to excuse genuine atrocities. Perhaps I reached a few individuals, but many seemed impervious. As new groups of students came in every year, they came with the same preconceptions. It was like a vicious indoctrination machine was working to turn out fresh batches of carriers for the fundamentalist religion meme, with all the built-in defenses that meme entailed. I thought that, if only I could get them to drop the idea that morality requires religion, everything else about them could be maintained without too much harm. I realize now, however, that the pernicious notion of the Christian religion being the sole foundation of morality is one of the defense mechanisms that are deliberately inculcated into children by the cynical professional purveyors of Christian fundamentalism. Most children, and most human beings, want to be moral. Fortunately, in the real world, morality is a matter of actions and not beliefs. Thus, people of any persuasion can act morally by following rather simple negative and affirmative rules of conduct. Yet if, early on in their lives, people form a repeatedly reinforced association between morality and a particular religious persuasion, they will develop a visceral aversion to abandoning that persuasion – even if reason and experience show it to have numerous flaws. They fear that, if they cease being Christian (or Muslim, or Hindu – for that matter), they will cease to be moral human beings. This fear keeps them in the flock and keeps them paying money to the peddlers of their particular denomination’s doctrines. Yet reasons to be skeptical about religion abound. No person who is alive can avoid having doubts about pre-scientific systems of thought, formed millennia ago by people who were far less knowledgeable than even the average person today – and who were certainly far less civilized and moral in their personal conduct. Memes of hatred and insularity serve as the immune systems of fundamentalist religions. The more tolerant, post-Enlightenment interpretations of religion avoid these tactics by de-emphasizing institutional religious obedience and shifting their focus toward more abstract theology and more concrete real-world problems with secular solutions. This is an admirable attempt to salvage essential humanity from the grasp of dogma. Yet whether a child is born into a fundamentalist household or a more moderate religious household remains a matter of sheer chance. The children raised by fundamentalists continue to be subjected to an intellectual bubble, where questioning is discouraged and conformity in both thinking and practice is expected at the very least, and enforced through the threat of bodily punishment and social ostracism in many cases. I want every child to have the intellectual freedom that I had. I was surely raised with rules and discipline and expectations for moral behavior – but those can exist in complete independence from any expectation of religious or even broader philosophical adherence. Since morality is a matter of action and not thought, parents can expect their children to adhere to certain norms of conduct while leaving them free to think and believe anything they wish. I am not against religious adults who are intelligent and tolerant about their religion. But the choice to be religious or not must be made in an informed fashion, without the pressures of guilt, ostracism, or punishment. Thus, indoctrination into any belief system – without the allowance for dissent or even doubt – is a form of child abuse. It warps and stunts a child’s intellectual development and renders the child ripe for exploitation by knaves, charlatans, and demagogues in authority. Every parent needs to give his or her children the latitude to discover truth for themselves, and to commit errors in the mind of the parent, as long as those errors do not damage the children’s bodily well-being. As for me, I never felt myself to be constrained in my thinking – even during the times in my life when I was regimented in my routines of action, as I was in various public schools. I never felt that there were areas of existence or of my own interest that I could not explore. I never felt that I was a bad person for considering certain ideas and evaluating them on their merits. While many religious persons claim that there is a “void” in the human being that only their conception of a god or gods can fill, I never perceived such a void. Perhaps the void only occurs to those who abandon some part of their upbringing with which they were acquainted through repeated reinforcement; perhaps it is a form of nostalgia for a past to which they can no longer claim full allegiance. I, however, was always comfortable with reality as I perceived it through my senses and evaluated it through my mind. Existence is vast and extremely multifaceted. There is enough still unknown, still remaining to be discovered, that it never seemed fruitful to me to add another layer of obfuscatory complexity by superimposing a supernatural dimension upon the natural world. As for any intellectual errors of my past, they have not troubled me, since I consider myself to engage in a continual learning process, where improvement and not shame is the focus. It is better to have a good answer now, and to aspire toward making it better, than to blame oneself for not having the perfect answer the first time. As a self-supporting adult, I consider the lack of indoctrination and the ability to exercise complete independence of thought to be my greatest asset. Any situation I encounter – be it in the work I do for a living or in the endeavors I engage in as part of living well – can be approached using reason and evidence. I try to understand the fundamental constituents of the situation and their natures. I then use my analytical abilities and previously accumulated knowledge to construct a solution or improvement. Where I need to rely on the work of others, I use my reasoning abilities to evaluate for myself the degree of that work’s reliability. Everyone makes mistakes on occasion, and so do I. However, adherence to reason is a self-correcting mechanism that can extricate me from the mental traps and vulnerabilities that plague some people for an entire lifetime. In the years since I have graduated from college, I have been increasingly amazed at the breadth and open-endedness of existence. Life entails literally billions of possibilities and choices. While some people are, unfortunately, entangled in intellectual straitjackets and are pushed by their indoctrination along very specific and narrow paths (with well-known pitfalls along the way), I have always been determined to make a path of my own – based on my own values, my own talents, and my own flourishing. I will never allow dogma to blind me to possibilities for improvement. The earlier one embarks on this individualized journey, the easier it becomes to avoid common failure types in life. My plea to all parents is to allow their children this precious opportunity. Freedom of thought is the greatest gift you can give to your offspring, and it does not cost a penny. I am delighted to announce that the Second Edition of my novel Eden against the Colossus (originally written in 2002-2003, and published in 2004) is now available for free download in PDF format. Click here to download and read a copy. I shall also endeavor to make the book available in other e-publishing formats in the near future. The novel’s official home page has also been updated. You can go there to download the book and read reviews by others. I encourage you to submit reviews of your own to me in the manner described on the page. Additionally, I invite you to read the introduction to the Second Edition below. It has been some ten years since I wrote Eden against the Colossus. I worked on this book gradually from July 2002 through July 2003, with some light edits made in the summer of 2004, for online publication in July of that year. In October 2011, Lulu.com, the former host of the e-book, took it down inexplicably. I decided then that I never again would risk the availability of my work being put in jeopardy due to the whims of an external host. Hence, I have worked this past year to release this second edition, entirely free of charge, for as many electronic and e-book formats as I could manage. In the course of creating the second edition, I performed some thorough editing, largely for style and not content. The aim of the editing process was to retain as much of the original intent and vision of Eden against the Colossus as I could, while improving the phrasing of certain sentences and sometimes modifying or clarifying a few peripheral details to render the story more internally consistent. My writing style has progressed considerably in the past decade, and I have endeavored to apply some of what I have learned in order to enhance this work – but not enough to alter its fundamental structure, plot, or ambience. Moreover, I have not diminished the substance or sophistication one bit. Science fiction is shaped by the author’s ability to project the future from present circumstances. Upon re-reading and editing this work, it was interesting for me to contemplate the actual changes that had occurred in the world during the intervening ten years, and how they aligned with my predictions. In some ways, I am more optimistic about the future (especially the most proximate century) than I was when I wrote this book. Some of the technologies I anticipated, such as electronic ink, are already ubiquitous (though not facilitated by nanobots and an interface between the mind and an e-reader, as I had imagined). Other technologies, such as in vitro meat, are around the corner in our time – but have taken humankind in my projection some 750 years to arrive at. I wrote Eden against the Colossus prior to my exposure to the work of Aubrey de Grey on indefinite human life extension and the work of Ray Kurzweil on exponential growth in computing technology, artificial intelligence, and the concept of the technological singularity. Even the Intergalactic Protectorate – with all of its technological marvels – is a pre-singularitarian society in Kurzweil’s sense. I suppose that it had to be one in order for me – from the vantage point of the early twenty-first century – to have been able to conceive of its various aspects. This fictional universe is also one in which sentient machines have not emerged – as I considered them impossible at the time of writing. There are numerous intricate robots on various scales – to be sure – but all of them remain instruments of man. Humans do, however, have numerous technological enhancements to their bodies and minds – a combination of biotechnology and computing add-ons – that serves as a soft parallel to Kurzweil’s concept of the merger of man and machine into an enhanced being of vastly greater cognitive capacity. The dialogue of the characters is far more advanced than most spoken discourse today; think of an entire society possessing the literary skills of elites during the 18th-century Enlightenment – in their speech. It is important to understand this hypothetical future as one conditioned by centuries of retrogression, war, and gradual, staggered recovery of civilization. Perhaps it represents one of the less palatable tracks of civilizational progress – where the Malthusians and Luddites set back prosperity and innovation for centuries, but where the human will for life, achievement, and expansion comes out ahead anyway – eventually. I certainly hope that, in the real world, we can do better to prevent the de-civilizing process from taking hold during the early third millennium. I harbor now – to a greater extent than I did ten years ago – the hope of personally someday living in a world where the level of human advancement and prosperity has surpassed what I envisioned here. Eden against the Colossus is a humanist work, and a proto-transhumanist one. It embraces reason, industry, innovation, and technological progress, and thoroughly critiques and condemns the enemies of human development. Though it will be apparent to the reader from even the prologue, the book is intended as a response to and refutation of Daniel Quinn’s Ishmael, which I still consider to espouse a worldview that is most diametrically opposed to my own. What would the society glorified by Ishmael really look like? Is it truly compatible with the human condition as it can be and ought to be? These questions are explored here in depth. I still think that most of my answers to them are correct, and worthy of consideration – especially as compared to their antitheses. It is particularly important for the ideas of reason, individualism, and technological progress to be spread today – in the face of misguided attacks from such diverse individuals as Leon Kass, Sherwin Nuland, Daniel Callahan, John Gray, and Nassim Taleb, which, if embraced by too many of our contemporaries, could seriously damage the advancement of civilization and our own life expectancies and standards of living. I might have phrased some of my statements differently had I written this work today, but the overall emphasis and intellectual direction are on target. I am rendering this book available to all for free download and redistribution, because I consider it essential to spread sophisticated discussion of these ideas and to counter the opponents of meliorism on both the Left and the Right. Along with being a science-fiction tale, this book is a philosophical mystery story, which implies that not all pieces of information will be available to the reader immediately. I assure you, however: they will be accounted for. Reality brooks no contradictions, and any fiction that pretends to have value in this world cannot, either. I have seen fit, as part of the mystery, to invent an entirely new language, which the reader will perceive to be quite confounding. It is meant to be. And, of course, the confusion is meant to be resolved. This book is not what it seems when you begin reading it. If it were merely about a straightforward ideological disagreement, or about interaction with an extremely different alien species, it could perhaps be phrased better in a treatise. Even though it may seem that I am telling you a lot of the ideas in the book, this is just one of the mechanisms used to show you this story. To those who are expecting light reading, this book is certainly not that. It must both set up an elaborate future world and develop the mystery within it. The book must necessarily get off to a slow start, but once the background is explicated, the story begins to take on a life of its own, and careful reading of the early passages will pay intellectual dividends to the reader during the latter half. If you appreciate a text that is constructed with great care and in which every fact and every statement is selected with a logical purpose, then you will enjoy Eden against the Colossus. Mr. Stolyarov speaks on the benefits of a non-religious upbringing and providing his firsthand account of how the absence of religious indoctrination during his childhood enabled him to thrive as a thinker and maintain a high quality of life in adulthood. This speech was given at the cyber-rally for the Second Annual International Day of Protest Against Hereditary Religion on January 20, 2013. In the recorded questions and answers following the presentation, Mr. Stolyarov discusses ways to reach out to other non-believers, possibilities in influencing individuals to increase their use of reason and critical thinking, connections between atheism and libertarianism, and the similarities in tactics used by traditional (premodern) religions and totalitarian regimes. An MP3 version of this Q&A is available for download here. The Second Annual International Day of Protest Against Hereditary Religion is coming up on January 20, 2013. This is a live cyber-rally with speakers, live Q&A, and the chance to give live commentary, being held in the Second Annual International Day of Protest Against Hereditary Religion U-Stream page throughout the day. Google us to attend. Events like these are important for a variety of reasons. For me, this event is about drawing more action lines in the sand. It’s about community involvement and helping to strengthen the overall group of atheists, agnostics, and related thinkers. It’s about helping the cloud do more testing with the concept of the cyber-rally. And most of all, of course, it’s about making a statement about hereditary religion. Even if the religious don’t budge on the issue, if it doesn’t make a single one of them consider it, it’s still important to make the statement for a variety of reasons. First, if you oppose idea systems like supernaturalism-asserting religions, you want to get all your chips out on the table, because if you don’t show the depth to which you are committed to opposing the teaching of fairy tales to children as truth, then they will think the middle ground is farther toward their side than it really is. You disadvantage yourself in that way. Fourth, another main role that this event serves is as a challenge to the religious. The more we confront them and call them out like this, the more we demonstrate that hereditary religion is an active and not a passive issue, and the more likely people are to come upon the issue. It forces more of them to deal with it and make their case. The more we get them to make their case in contrast with our message, the more opportunity young children will have to see this dichotomy and have a fair chance at choosing reason. The way it is now, many of them whisk children from home activities, to home school or private school, to church, in a never-ending cycle. Although we think the atheist/agnostic message is out there for the children to see, for many it isn’t. So we want to make sure we fill as many of the ‘hallways’ around them as possible with discussion about this. When they step out into the hallways of life, we want the people to ask them to explain why they are supporting and teaching fairy tales to children. Helping to keep the pressure on by throwing down challenges like this makes it easier for other projects by atheists and agnostics to get traction when they make their moves. In order for humans to be pioneers in life, the universe, and this vast existence in all of its deep and intricate ways, we need people using as much reason as possible so that more people figure out the important things in life that there are to work on. There are many of them. The whole emerging era of Transhumanism is in essence a definition of important things to work on. There are many important things to work on. We have a lot of history left to uncover, a lot of space left to explore, a lot of dreams and goals left to fulfill, and a lot of very big questions about existence left to answer. One of the main important tools that we need to get there is reason. Reason is the vehicle by which we pioneer fields like those. We need more projects of reason, projects that work to get at the roots or reasonlessness. An excellent example is this cyber-rally to keep pressure on people that purposefully teach a reckless disregard for logic and reason, like religions that assert supernaturalism. That’s why I like events like the Second Annual International Protest Against Hereditary Religion. We don’t live in a post-Age-of-Reason world. The Age of Reason has not yet claimed full victory, and it will have a hard time prevailing, so long as hereditary religion continues to maintain its traditions of brain slavery. When the Age of Reason calls for these kinds of shows of solidarity, stand up and be counted. Numbers matter. Help us make this cyber-rally a success. Eric Schulke has been a director at LongeCity since 2009. He has also been an activist with the Movement for Indefinite Life Extension and other causes for over 13 years. Editor’s Note: Mr. Stolyarov will also be participating in the Second Annual International Protest Against Hereditary Religion. He will be speaking on the benefits of a non-religious upbringing, from the standpoint of his personal experiences. Watch his introduction here. At present, it is expected for the speech to be broadcast live over U-Stream at 12 noon Pacific Time. 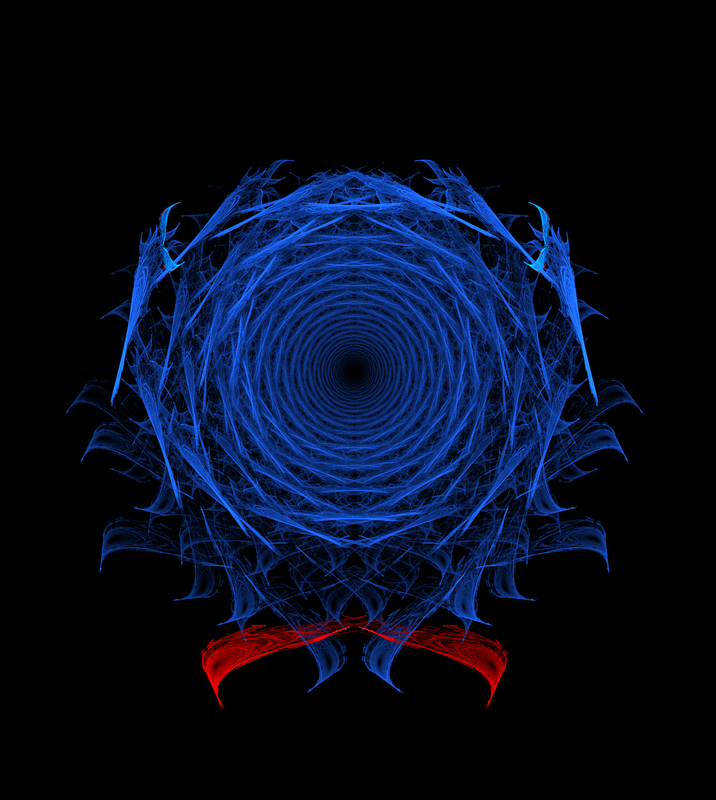 This fractal resembles an ornate wormhole or tunnel. I am pleased to announce that my short story “What Did Not Have to Be” won first place in the Transhumanity.net 2033 Immortality Fiction Contest. What a fitting outcome at a time when I am focusing more on my writing! The prize for first place is $50. Here is the Transhumanity.net posting of winners. Out of all the contestants, I portray indefinite human longevity in the most optimistic light – and it would indeed be wonderful if technological progress can get us to this most vital of all goals within the next 20 years!